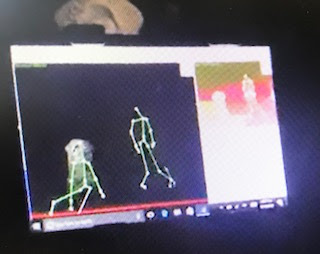 Becky Vickers(BECKS) - Everyday Ghost Hunters/Goatman's Bridge Ghost Tours: THE KINECT SLS CAM-CAN IT REALLY DETECT GHOST SO THAT WE CAN ACTUALLY SEE THEM??? SEE WHAT OURS CAPTURED AT AN ABANDONED CEMETERY!!! YOU TELL ME??? 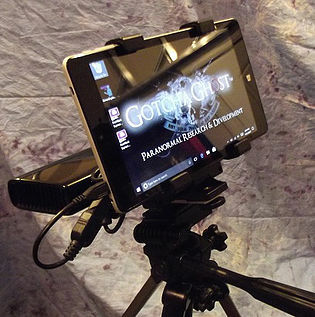 So, the latest new "toy" in the paranormal world seems to be the new Kinect SLS Cam made by Gotcha Ghost. 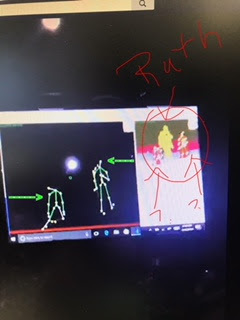 You have probably seen this used on Ghost Adventures a lot (maybe not this exact one from Gotcha Ghost but it does the same thing) It detects a spirit and it shows up on a screen as a "stick figure". Gotcha Ghost description of this new Cam is "This camera will detect humans and animals in absolute darkness or full light. 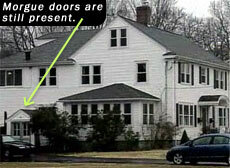 It also seems to see bodies when there is nothing there the naked eye can see, spirits? It works much like the SLS Camera at a fraction of the cost! You can record video directly to the tablet or to SD Card. 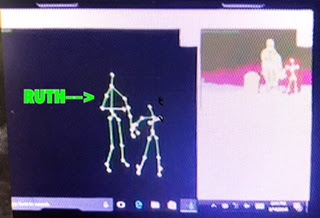 Here's how it works: It uses an RGB camera with depth sensor infrared light projector with a monochrome CMOS sensor which sees everything not as a flat image, but as dots arranged in a 3D environment. These 1000's of infrared dots allow the camera to "see" depth and detail like a sonar." Soooooo, I have wanted one of these for a while but they are fairly expensive. The one from Gotcha Ghost is $400. Well, guess what??? I finally broke down and bought one because I just COULDN'T STAND IT ANYMORE!!! I HAD TO HAVE ONE!!!! I have only had mine a couple of weeks, but me and "the girls" took it out for a test run last Friday. Ruth Vickers and Tammy Hightower who are part of my team...took it out to one of our favorite old cemeteries.......Skinner Cemetery. This is an old abandon cemetery dated back in the late 1800's. We have had TONS of activity at this location. 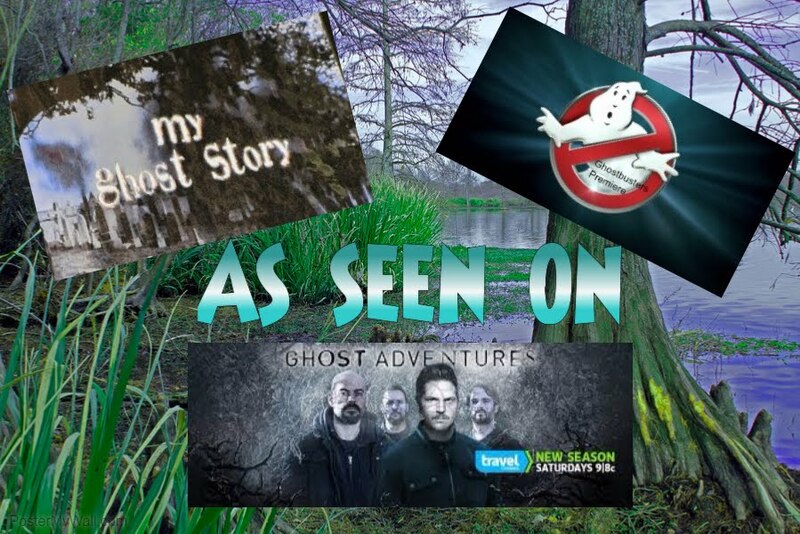 Now, I wish I could share some of the EVP's we got from Friday's investigation but I just don't have them ready yet and I am still going through our evidence. It came very well packaged and arrived in about 10 days from the date that I ordered it. Ok....lets get to if it works or not. We were set up trying to communicate with a young boy spirit and we did not use the SLS Cam at first. We were using other equipment and recording as video. We were getting some activity on the Parascope (see the live feed on FB) and a couple other things so we did not use the SLS right away. We decided to take the SLS Cam and walk down and around and video some really old tombstones. We were also doing a FB live so that everyone could see exactly what we were seeing. We turned on the SLS Cam and it takes it a minute before it starts to detect what's in front of it. Ruth was standing beside one of the graves, I was filming with the SLS Cam and Tammy was recording for FB Live. All of the sudden....it started detecting a figure (spirit) sitting ON THE GROUND kinda leaning up against the tombstone itself and like looking down as if it were sad. 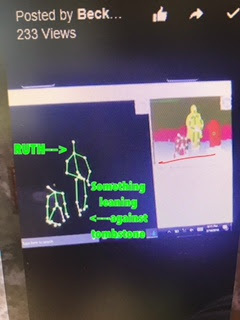 The reason I can say that it was "sitting" is because Ruth is standing right beside it and it is obviously much lower to the ground and it does not look at all like Ruth's "stick figure" as she is standing up right beside it. We start asking for it to stand up and at first it DOES but then it jumps right back to the position it was originally in.....sitting up against the tombstone. The two tombstones that two figures appeared. We then ask that it hold Ruth's hand. You will see that now, it totally stands up and holds Ruth's hand for several seconds. WAY COOL!!!!!!!!! Then as we start to scan and show more tombstones, it suddenly detects ANOTHER FIGURE DOING THE EXACT SAME THING!!!! So now we have TWO figures leaning up against two different tombstones that are side by side!!!!! What the heck????? So, what do I think about the SLS Cam? 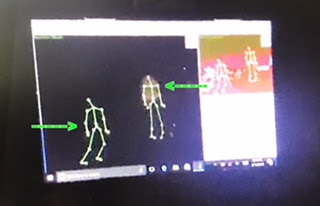 IF it really was detecting spirits and we were able to communicate with them and see them at the same time....then 's it's PRETTY DARN COOL!!!! We did take the SLS to a different part of the cemetery and got NOTHING which to me just helps prove that it DID actually pick up on something at the other location. One of my favorite things about the SLS is that it automatically saves the file to the tablet or you can save it to a micro SD Card. The screen is very clear and the software is pretty easy to use. Here are just a couple things I noticed that I think could be improved. First, to adjust any of the settings on the screen, it is really hard because they are really small. And one more thing......there is a "screen capture" software that comes pre-loaded for you. I really like it because it too seems to be fairly easy to use and I like EASY!!! The only thing is...that once it starts to "screen capture" a little screen pops up almost in the middle of the screen showing it is recording and I found this to be in the way of being able to see the "whole" screen and what was going on in real-time. Can't wait to try it out at other locations. So stay turned.......the more I use it, the better I can review it for you. But for now........I LOVE IT!!!!! This is a cool picture even though it is blurry. Not sure if the figure to the left is actually a spirit or just one of us passing by. Dang it!!!! Lots of trigger objects for the children spirits. Ruth Vickers and Tammy Hightower during our investigation at Skinner Cemetery. Here is the video that we recorded during FB Live. What do ya think?? ?